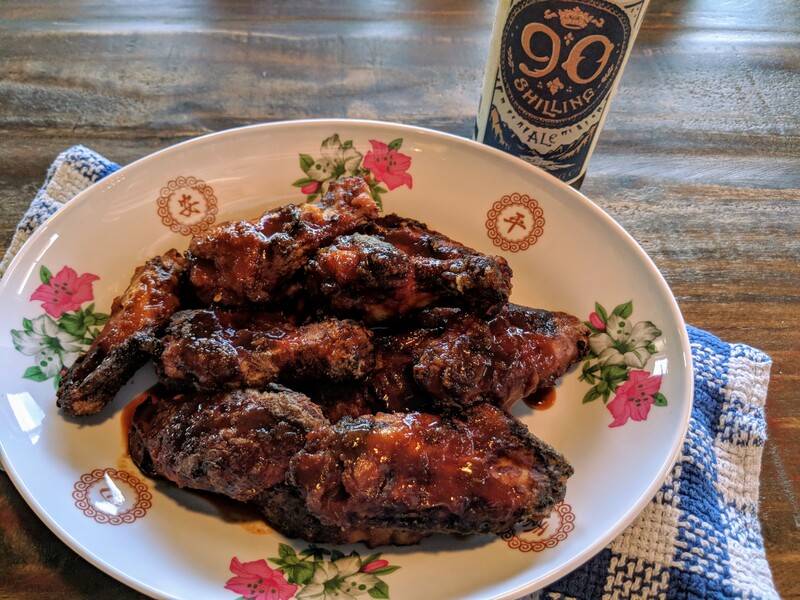 Spicy Wings | What's To Eat Today? I put together a marinade containing soy sauce, honey, garlic powder, onion powder, red pepper flakes, Sriracha sauce and a splash of orange juice. I left the wings to marinate for a few hours. 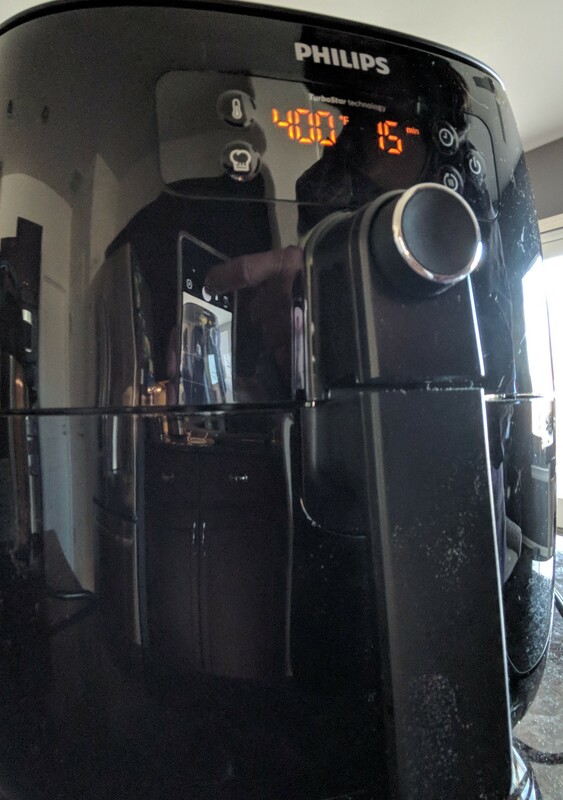 I got out my Philips Air Fryer and set it to 400 degrees for 15 minutes but did not turn it on yet. I poured approximately a half cup of Mochiko sweet rice flour into a paper bag and working in batches I took the chicken out of the marinade and dropped it into the flour and shook the bag well. 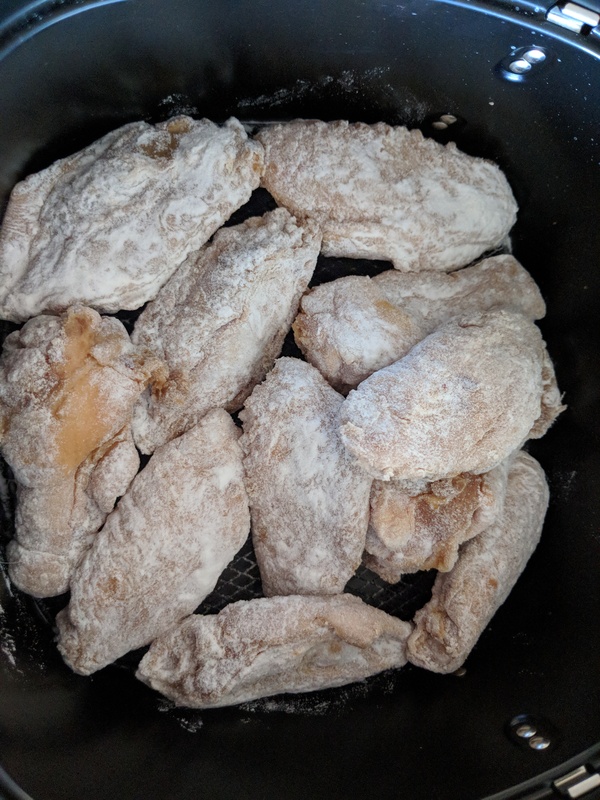 Shaking off excess flour I placed each little wing into the air fryer basket. I closed the air fryer bin and hit Go! Half way through the cooking cycle I turned the wings over. While the chicken cooked I took the marinade and poured it into a small sauce pan and onto the stove it went. Over medium high heat I reduced the marinade and drizzled it over the wings once they were done frying. The wings were cooked perfectly (no red near the bone!) and the skin was crispy. Ooh, with Mochiko Flour, WINNERS!